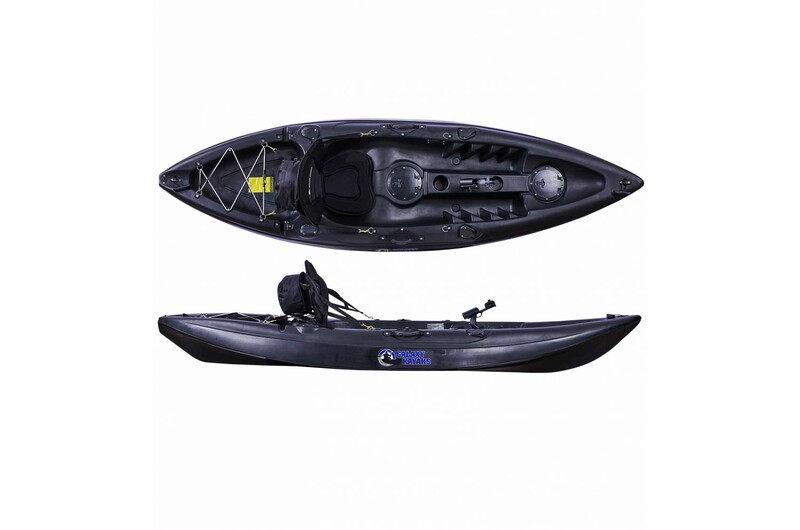 The Rider HV is part of our new Galaxy HV Series™! 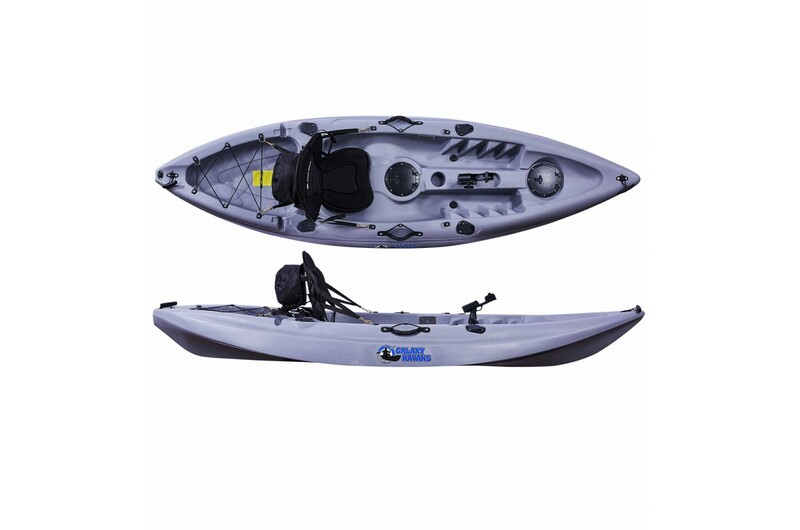 The Rider HV is our most affordable fishing kayak that comes with loads of great features and fishing accessories as standard. 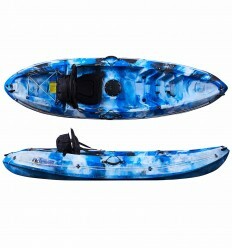 Don’t let the price fool you! 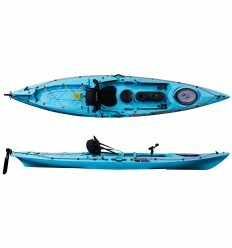 This kayak packs a punch and has everything needed to get out on the water and start fishing with your buddies! 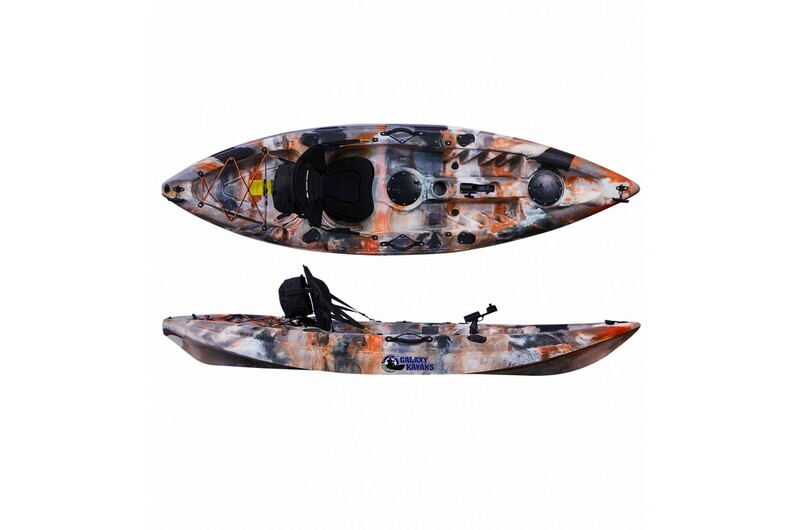 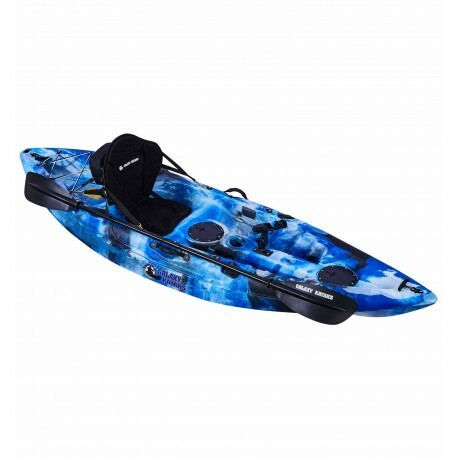 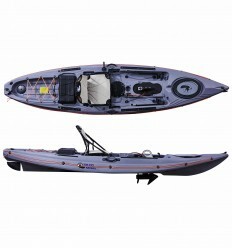 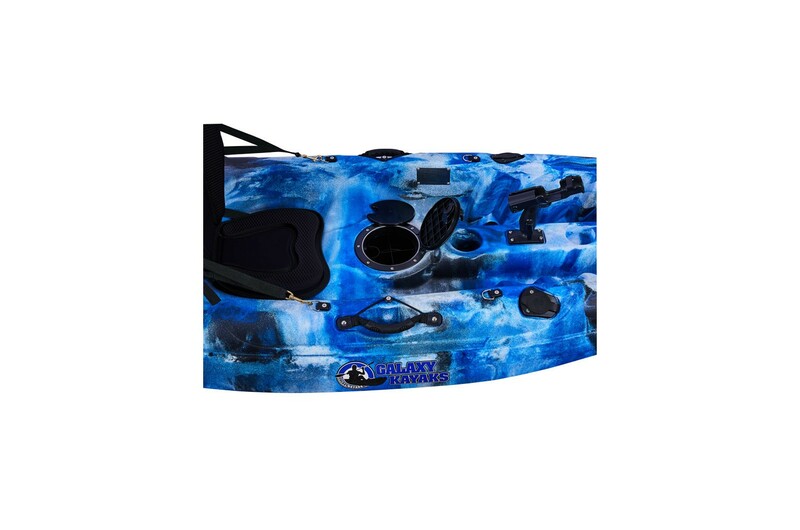 The Galaxy Rider HV is the younger brother of the Cruz Pro Angler kayak and is ideal for those of us who want a versatile fishing kayak that can be used as a sea kayak as well as in lakes and rivers. 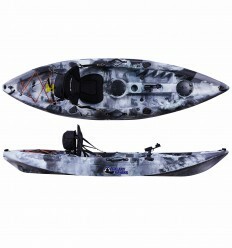 Jigging, trolling, spinning, live bait - whatever style of fishing you want to do the Rider HVdelivers and then more. 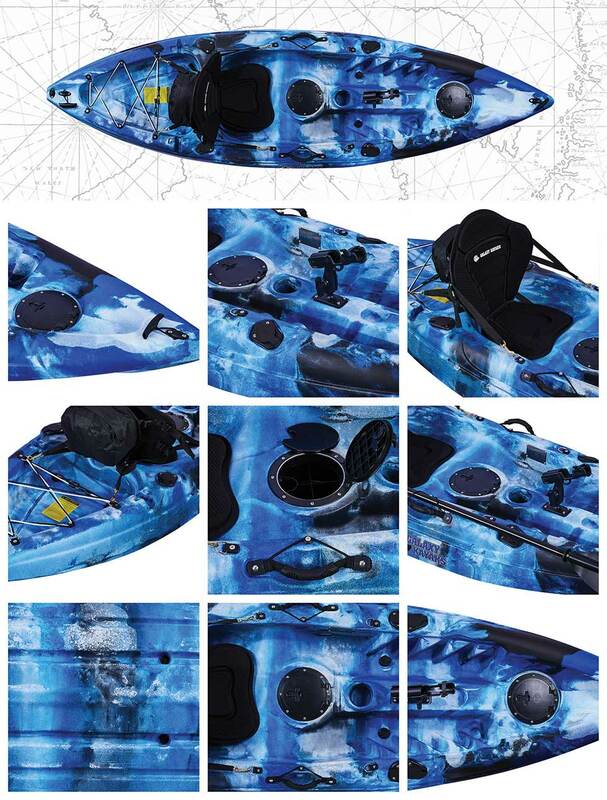 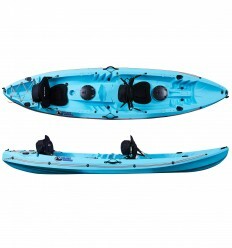 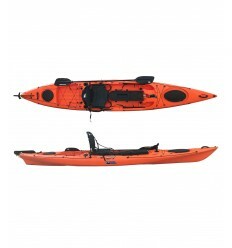 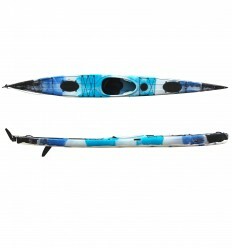 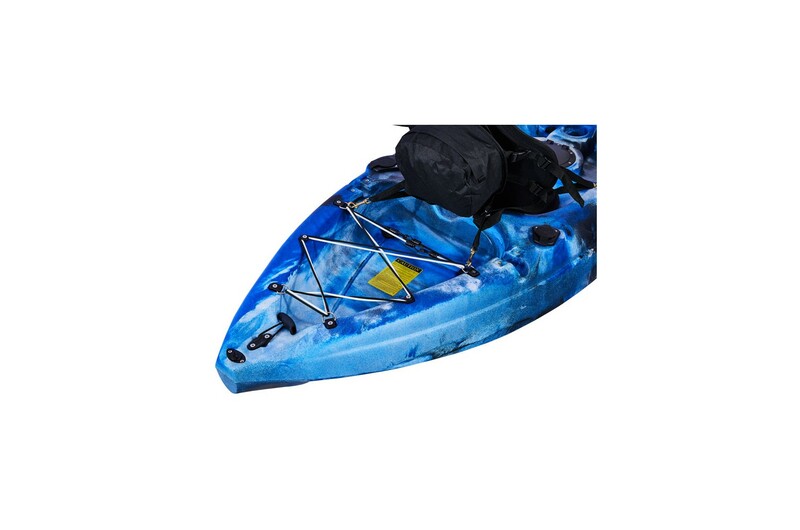 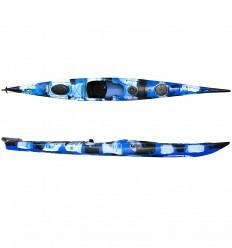 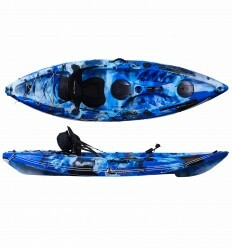 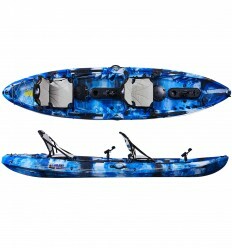 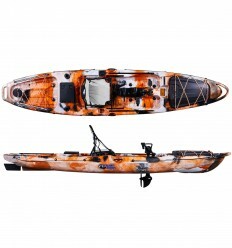 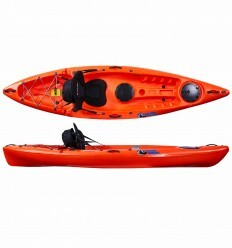 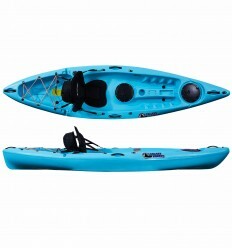 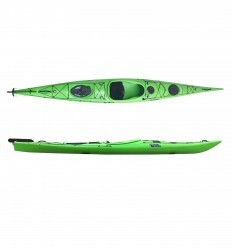 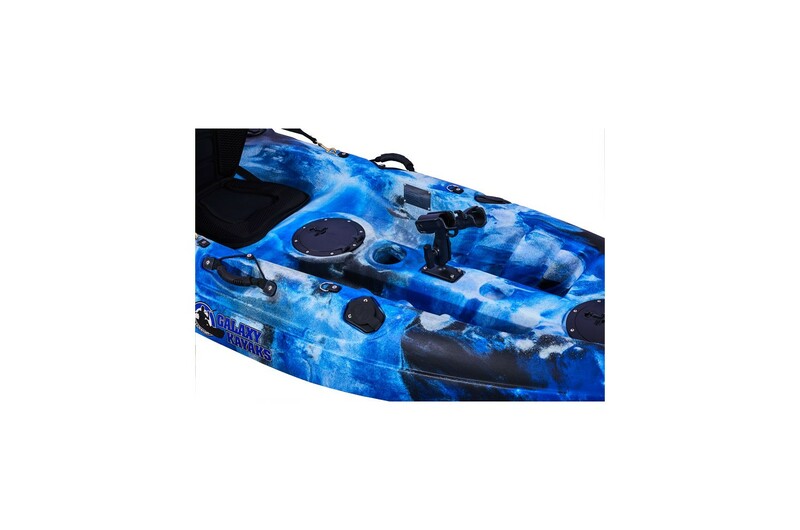 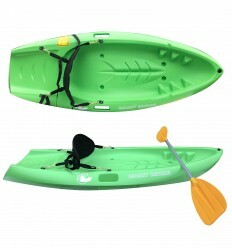 This kayaks also comes with CE certification, which is the only one of its kind in its category. Add to this the Galaxy Guarantee and confidence you get when you buy Galaxy Kayaks and you can rest assured you’ve got yourself an ideal kayak for casual fishing and weekend adventures at a fantastic price! 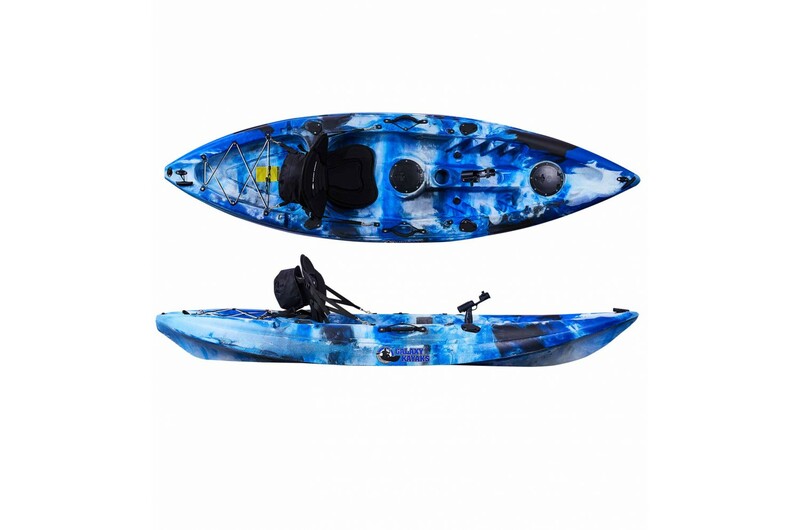 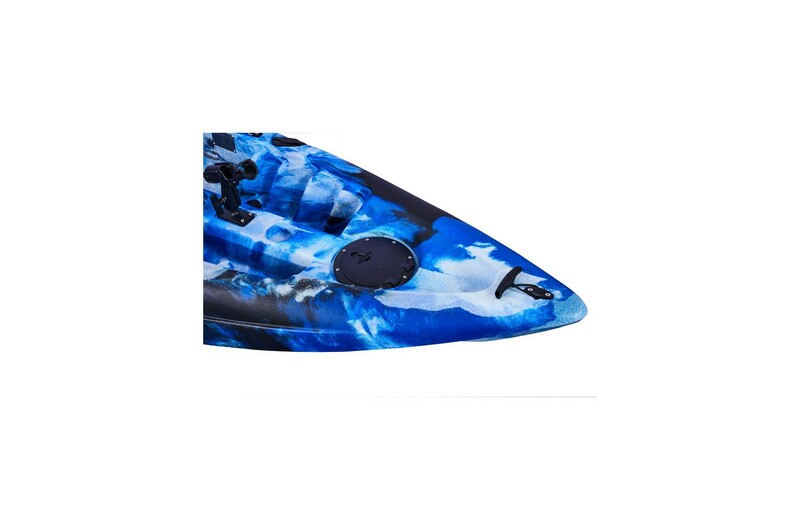 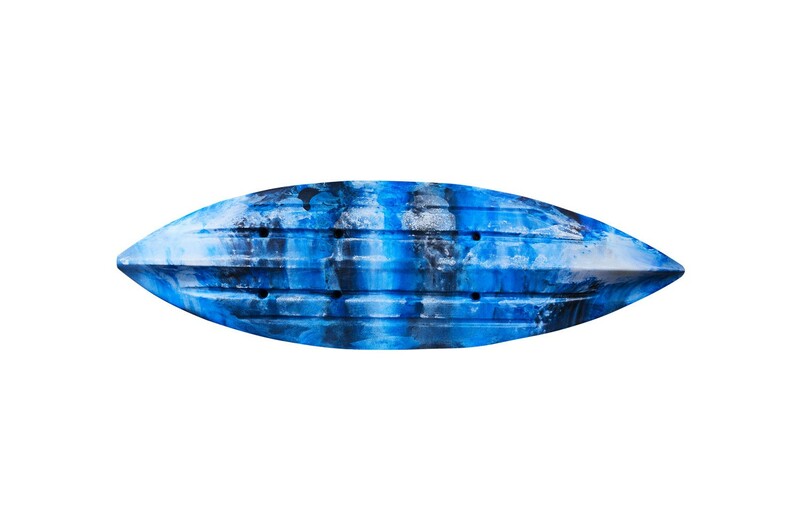 This kayak is designed to maximize stability with its 82cm width and specially designed flat bottom, which helps maintain stability even when reeling in the most strenuous fish. 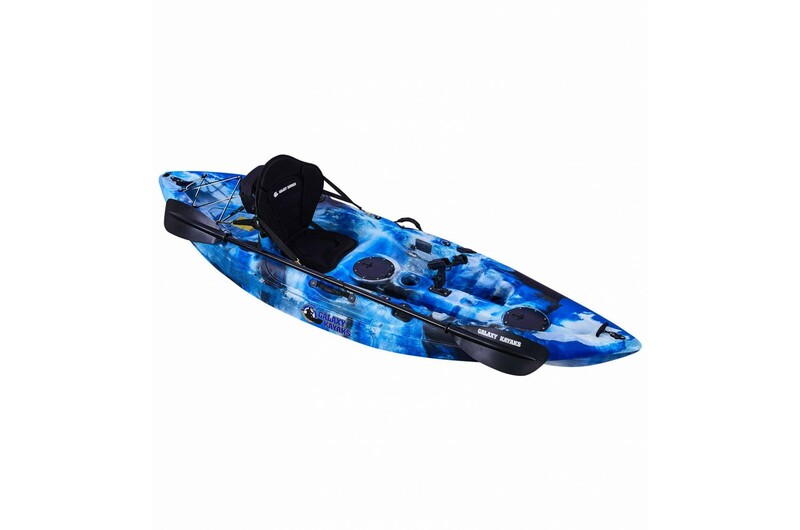 Even though it’s a shorter more stable kayak, the Galaxy Rider still maintains a good speed as the deep front keel and back have been designed to make it a smooth ride. The Galaxy Rider HVcomes with four flush mount fixed rod holders and one swivel pro rod holder, which gives you ample choice for your preferred fishing setup. 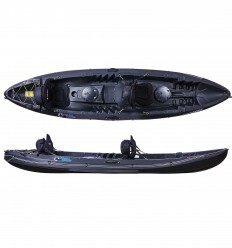 The two small storage hatches give access to the hull for storage of any extra material not in use, as does the rear storage area with bungee baggage netting. 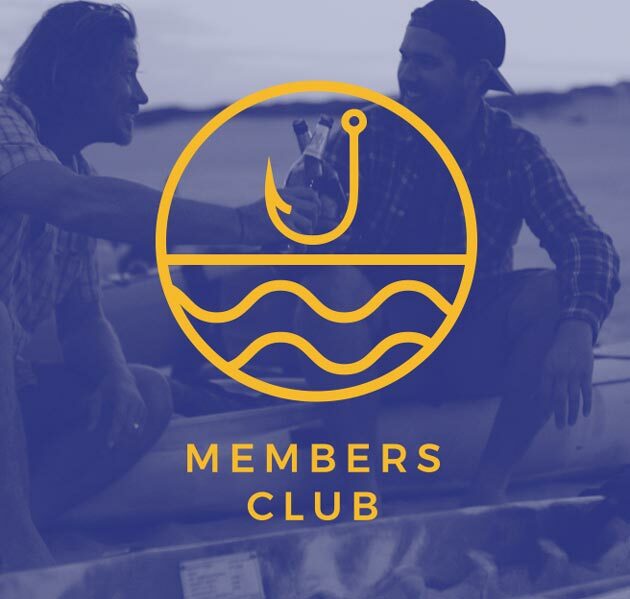 If you feel you need to add more, you can always get creative and order items from our fantastic list of fishing accessories. 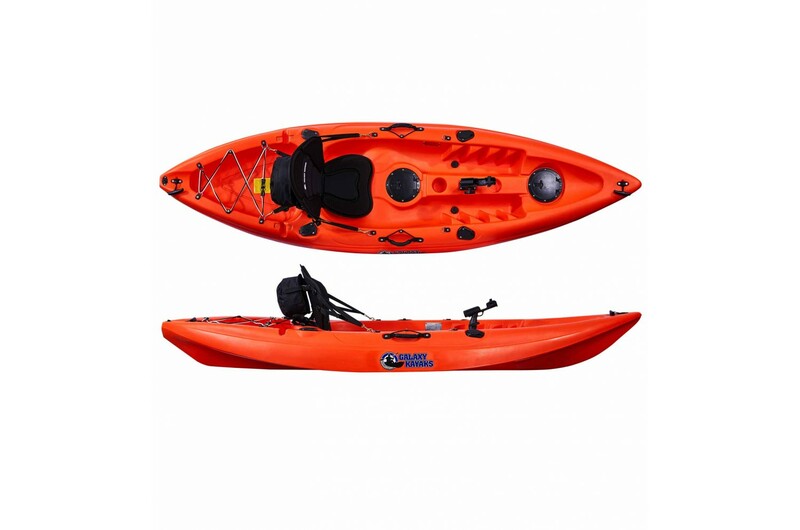 That’s a good thing too as the Rider HV comes with a moulded motor bracket space in the rear and ample space to add further supports and fixtures (see Railblaza). 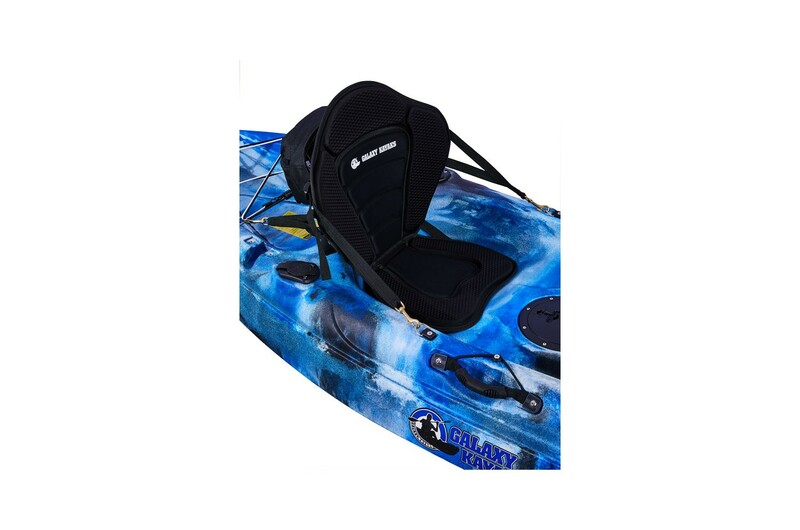 Like all Galaxy Kayaks, the Rider HV comes fully equipped with a seat and a paddle so all you need is a lifejacket, and you are ready for your next adventure!